Saving for retirement is complicated, so it’s not surprising that a few fundamental guidelines have become popular over the years to help simplify complex ideas. Here are four that you might have come across in reading, researching, or just talking with friends. Like most guidelines, they offer helpful starting points but need to be examined critically and adjusted for your specific situation. You need 70% of your pre-retirement income during retirement. This is an older guideline — 80% is now more commonly suggested. But, in fact, there is no magic number, and you may be better off focusing on your actual expenses today and thinking about whether they’ll stay the same, increase, decrease, or even disappear by the time you retire. A “safe” withdrawal rate is 4%. 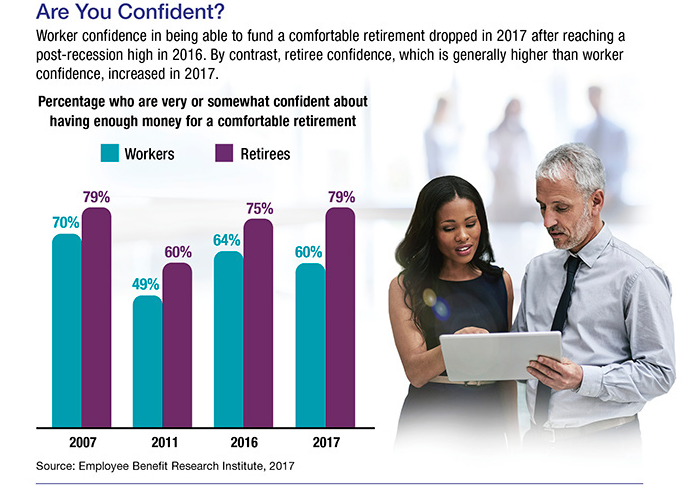 The “4% rule” suggests that you make annual withdrawals from your retirement savings equal to 4% of the total when you retire, with annual adjustments for inflation. This model was developed in the 1990s for a 30-year retirement with a portfolio that included 50% large-cap stocks.2 Although this may be a helpful guideline, some experts suggest a lower rate, and there are many other withdrawal models. Factors to consider include the value of your savings, the amount of income you anticipate needing, your life expectancy, the rate of return you expect from your investments, inflation, taxes, and whether you’re single or married.